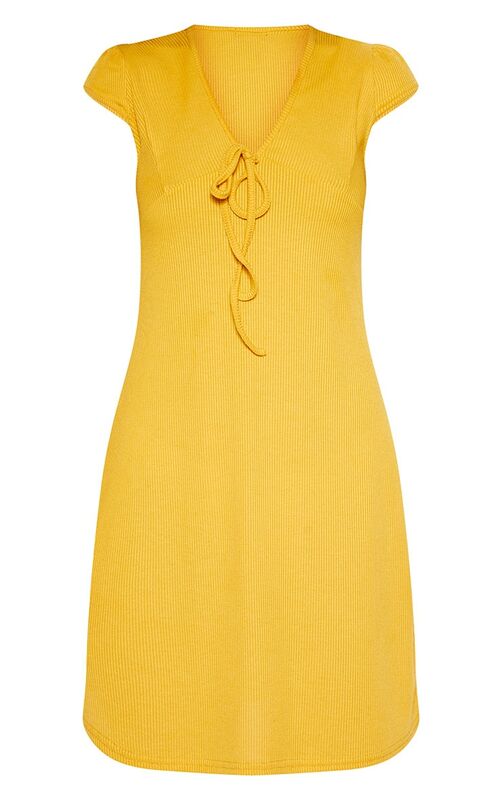 Add a pop of colour to your wardrobe with this stunning swing dress. 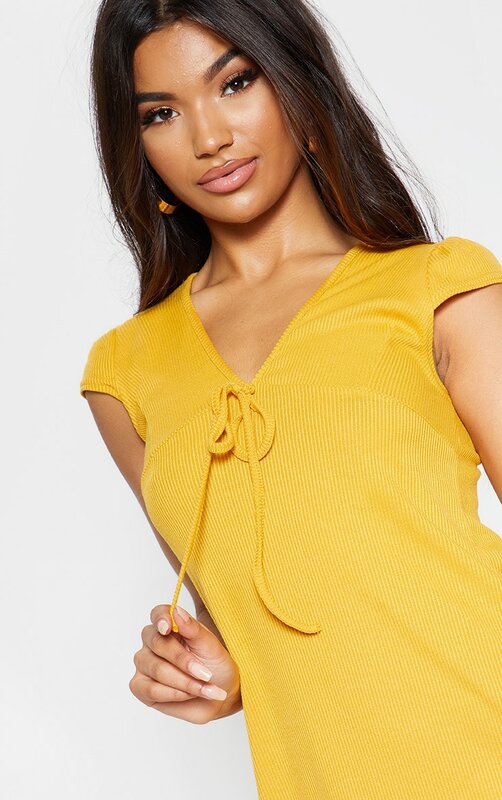 Featuring a mustard rib fabric with cap sleeves, a tie detail and loose fit, what's not to love? Just add matching mustard lace up heels to finish off this fiercely feminine look.